We’ve Been Waiting For This All Year! August’s cover photo shows an iconic scene – the flat-calm trout pond; the well-used, cork-handle fly rod; the old canvas hat and the wicker creel. Is it sunrise, and is the angler preparing for a day in the wood-framed Laker canoe? Or is it sunset, and is the fisherman resting comfortably on the dock while the limit of brook trout are crisping on the grill? All year we’ve been looking forward to the lazy days of summer. Thoughts of August got us through the snowy winter, the muddy spring and the cool early summer – and now it’s time to enjoy. In his “Jackman Region” column, Bill Sheldon shows how to relax in August – just drop your newly-constructed drift boat into the Kennebec River, and let the current take you. Readers will learn more about Bill’s “East Coast Drifter” in upcoming issues, when he describes the many months of “cutting, scarfing, epoxying and otherwise bending perfectly straight wood” into the form of a drift boat’s hull. Rowing not your thing? Then how about standing up and poling? In “Self-Propelled Sportsman,” Jim Andrews finds himself in the company of professionals during a St. Croix River trip from Vanceboro to Loon Bay, and he describes how they (and he) poled canoes both upstream and down, through Class I and II waters, before venturing into the Class III ledge drop and rapids at Little Falls. Did Jim navigate the tricky stretch without incident? You’ll have to read and find out! Columnist William Clunie certainly knows how to enjoy summer, and in his “Rangeley Region” piece this month (illustrated by a photo of the fattest brookie you’ve ever seen!) 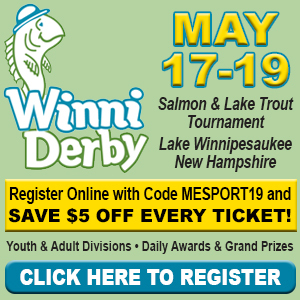 he tells readers how to find big trout and salmon in ponds that feature cool spring water to keep the fish growing and lively. William also weighs in with good ATV information in his “Off-Road Traveler” column, reminding riders this is a good time to scout for whitetail sign when they are powering along Maine’s many woods trails. And Shane Brown of ATV Maine ensures riders are safe by detailing the differences among helmet certifications DOT, ECE and SNELL. Maine is the only state in the union that borders only one other state, and that “other” state happens to be New Hampshire. For many Mainers in the western part of the state, New Hampshire is right close by, and month after month Ethan Emerson reminds us why it’s worth the trip. In this issue, Ethan describes some of the most beautiful places in the region, including Crawford Notch (headwaters of the Saco River! ), the views along the Kancamagus Highway, Pinkham Notch and Conway Lake. Some good fishing remains this month, and Tom Seymour makes sure we understand how a quality outrigger can bring our spoon down to the depths where the big togue and other salmonids seek protection from the heat. Youth writer Luke Giampetruzzi reveals that his favorite fly rod for shad is an 8-weight, tipped with a home-tied Copper John, size 8 hook and “flashabou” tail. And Bill Graves and his pals haul hefty bronzebacks from Mattawankeag Lake in Island Falls, in this month’s “The County” offering. On saltwater, JP Falzone interviews charter boat operators who describe the red-hot and fast-growing sport of shark fishing, while Capt. Barry Gibson reveals how to prepare and ice down your fresh bluefish to make great and healthy grilled fillets. Away from the water, hunters are already planning for the fall seasons, starting with expanded archery in September. Chris Johnson takes us through the step-by-step process of tuning our bows, sighting in at various distances to make certain we’ll be on target when the opportunity arises. And for those waiting for firearms season, Col. J.C. Allard discusses the advantages inherent in the new flat-shooting, magnum-powered 30 Nosler cartridge. 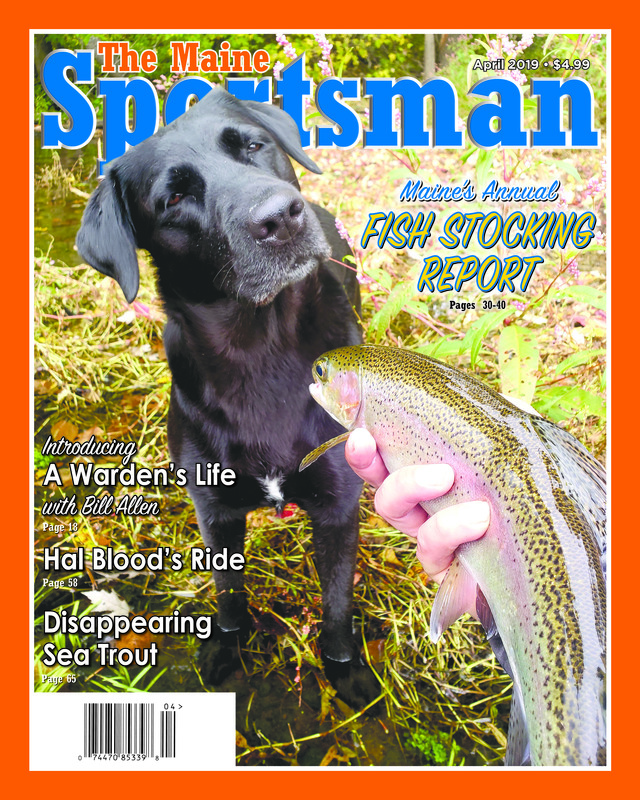 Val Marquez takes a break from his usual Southern Maine column this month in order to present a bear-hunting special, bow-and-arrow style, while Joe Saltalamachia, whose living room features many whitetail trophies, waxes eloquent on how he contracted buck fever as a 10 year old, and has never sought a cure. All this plus more great letters to the editor, the best jokes and cartoons ever, and features and regional columns to tell you what’s going on in your sport of choice and in your neck of the woods. 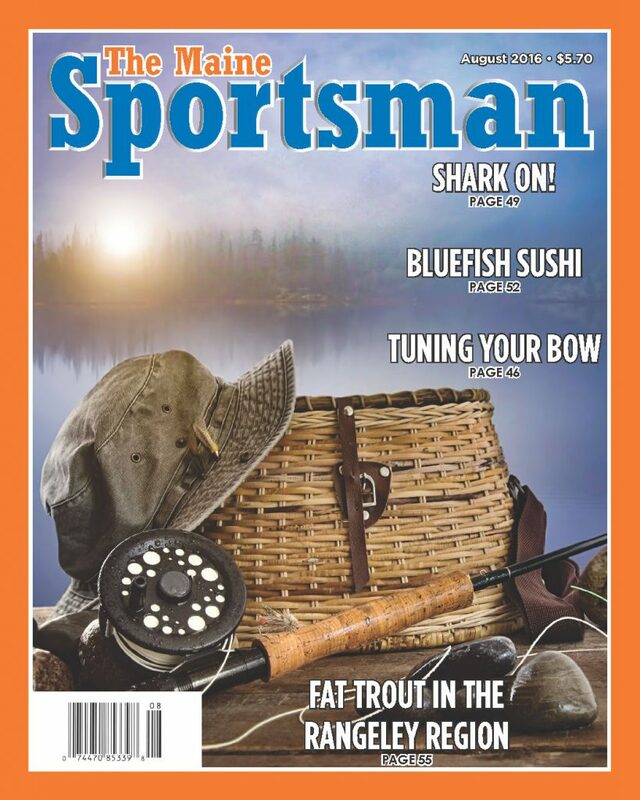 So find a shady tree, cast out the worm, hook and bobber, pour a cold lemonade and crack open the August issue of The Maine Sportsman – the best part of summer is here!